It is in the perspective of the common use of foam spray as a use of spray insulation for attics but notes how the contractor in this situation did not do a proper job. He covered the spray onto the metal pipes which was indicating that there are combustion appliances, although he did leave some of the gable vents open for proper ventilation. Basically, the spray was done at an improper time and should have been done after the HVAC system was installed and evaluated. 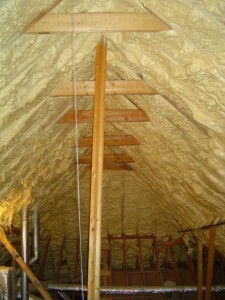 Which Option Works Best In Dealing with Home Crawl Space Air? Many green builders and environmentally conscious types agree that encapsulating crawl spaces is preferable to venting to the outdoors. 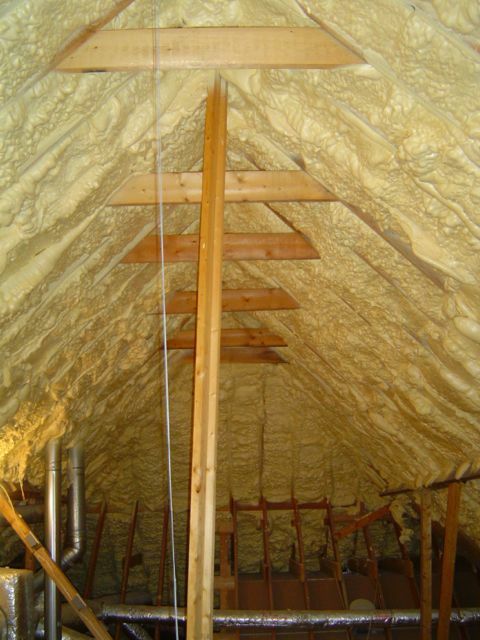 Some choices home builders have when dealing with the crawl space are: venting it to the outside, using air from the HVAC system, exhausting the air to the outdoors, and using a dehumidifier. 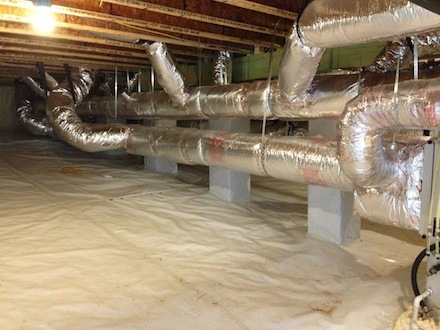 Encapsulating the crawl space and installing a dehumidifier may actually be the most efficient choice. It is the most expensive choice in most instances, but that cost can be offset. You want it dry down there. There are certainly risks and associated costs with excessive moisture. Dehumidifiers are the superior choice in that regard. 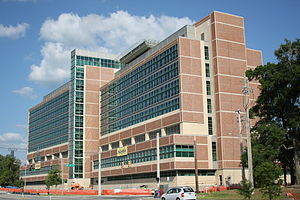 Cutting Energy use in hospitals is a wonderful, if somewhat lofty goal. The best ways would be to unplug all those unnecessary machines, or perhaps cut back on all that ultra powerful lighting in surgical rooms? I agree with some of these ideas for cutting back on energy in this article, such as unoccupied room detectors and automatic shades, if they will actually save more money than the cost of the systems themselves. What good does it do to install 5 million dollars worth of energy cutting equipment and systems if it only saves 500,000 a year and has to be replaced every 5 years? I would like to see a full cost analysis of all the recommended energy cutting systems before I agree with the conclusions reached by this article. They also recommend energy efficiency through cleaner heat and power, but do not tell us how this is supposed to happen? A little more information and less political rhetoric from the clean energy crowd would have been more helpful. Be Careful at Any Recycling Trick! 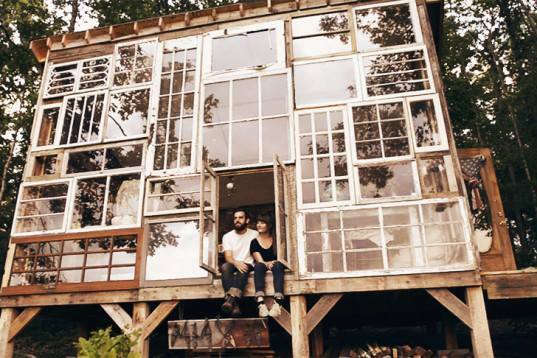 You have to think carefully before building your perfect dream home from quirky materials. You may be able to save a lot of money and it may be just what you think you want at first, but in time, your dream home could become a nightmare. 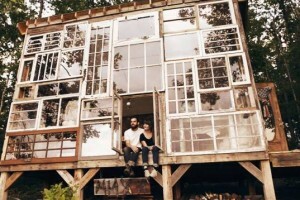 For instance, the couple who built their home entirely of recycled windows and glass doors. It looks great at first and saved a lot of money, but it’s colder in the winter, hotter in the summer and leakier in the rain. So if you want to have a one of a kind house, make sure you do all of your research and make sure it makes as much building sense as it does design sense. Chilled beams might be the wave of the future when it comes to cooling and air conditioning solutions. This technology is not new; it was developed in 1975 and has been used with success in Europe. The concept is that chilled water is used to cool floor-to-ceiling or in-ceiling beams. There are benefits to this type of cooling. 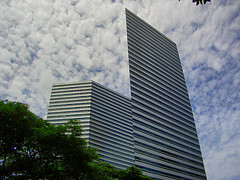 First, there is a 30% reduction in energy usage versus traditional cooling systems. They chilled beams are also a space-saver. Additionally, this technology is much quieter than traditional air conditioning since it uses pumps to move the water instead of fans. Lastly, maintenance costs are reduced since many of the smaller components needed in other cooling systems are not necessary with chilled beams. While there are a few drawbacks, this cooling option bears consideration. 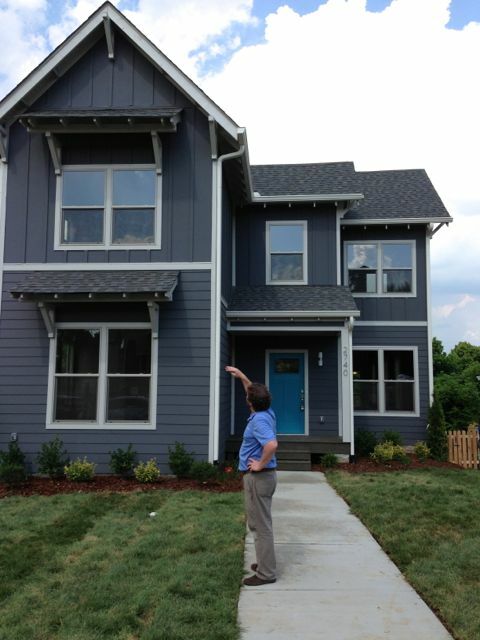 5 Good Reasons to be in Home Performance Every HVAC Contractors Should Not Missed! HVAC workers could be missing out on income opportunity by not being in the home performance sector. There are at least five (5) good reasons for them to join in doing so. Reason 1: There is more income potential. Letting the competitors take up contracts that they may not be able to provide full services where HVAC workers can. Why let the competition take half of the work? Reason 2: HVAC workers can satisfy clients much easier by making services more affordable as well as giving clientele more space in their home. Reason 3: Easier to up-sell. A customer may call over one minor thing, but likely there are several solutions to their problem that can land HVAC workers larger contract. Reason 4: Better working conditions for the entire team. With more potential clients HVAC workers can be selective about projects. 5. Customers will come go to them for expertise and their own reasons. This may seem like something difficult to a consumer, where for a HVAC worker it may be a simple area of expertise. 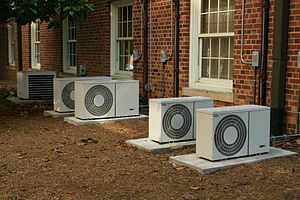 In all, HVAC workers should consider branching out into home performance. There’s a market there for it and plenty of money to be made. Well maintained condenser tubes in a power plant are important and directly related to the efficiency of their operation. Over time, condenser tubes can often become dirty with deposits which are very difficult to remove. 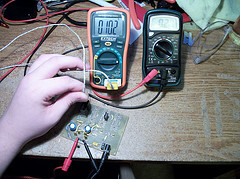 This in turn can eventually affect the heat transfer and limit the generator capacity of a plant. Goodway offers a variety of surface condenser tube cleaners that will help maintain condenser tubes in a manner that is easy, fast, and very cost efficient. Some of the products that Goodway offers include advanced tube cleaning projectiles and guns that can quickly and easily remove tough deposits inside condenser tubes. In an effort to reduce energy consumption around the country, commercial facility managers are being required to track and report the energy usage of the buildings they manage. This initiative is directly connected with the EPA’s Energy Star program. The program allows firms to report their energy consumption using a web-based tool. A primary reason that commercial buildings are being targeted is that they not only consume a great deal of energy, but they also waste it. The EPA estimates that roughly 30% of commercial building energy usage is wasted. Important to note also is that this program is not voluntary; it’s mandatory. If facilities do not comply, they face fines which will vary in amount. The BAPI Bluetooth Humidity and Temperature probe pairs wirelessly with a smartphone application to provide instantaneous HVAC testing capabilities with just one tap of the screen right out of the box. The sensor takes highly accurate temperature and humidity readings, and the smartphone app maintains a log of the tests performed and can easily share it via email and the data can be imported into Excel. The device works seamlessly with newer Android phones (Version 4.1 and above), and can be adapted to work with older Android phones. It is not yet compatible with iPhones, but should be supported in the near future. Just because a fan says it flows a certain amount of CFM, it does not mean that it is actually true. Several homes applying for the Energy Star V3 program have failed, due to a small thing; bath fans need to have a minimum of 50 CFM. Without this, the house can not pass for the program. To solve the problem, several house builders thought about installing bigger fans, to hit the 50 CFM minimum, but that did not solve the problem as many of them could not even hit that. Many of the fans claimed to flow 110+ CFM, but half did not even hit 50. That is quite crazy to think and is obviously not the way to go.